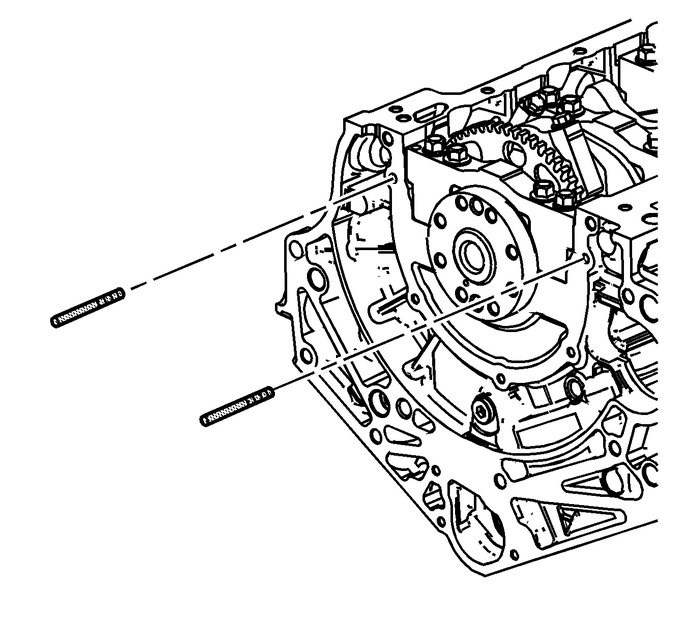 Install the 6-mm (0.236-in) guides fromtheEN-46109pin setinto the 2-crankshaft rear oil seal housingcorner bolt holes of the engine block. 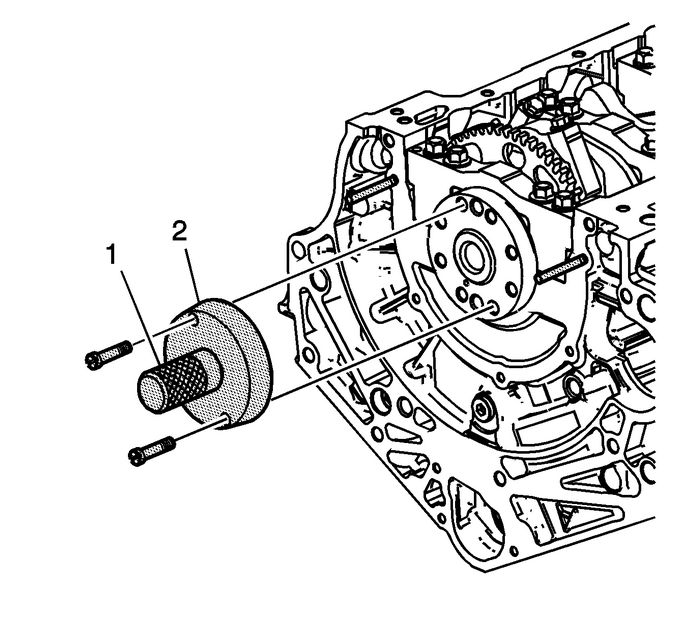 Install theEN-47839toolwith theEN-42183handle-(1, 2) onto the rear of the crankshaftflange. 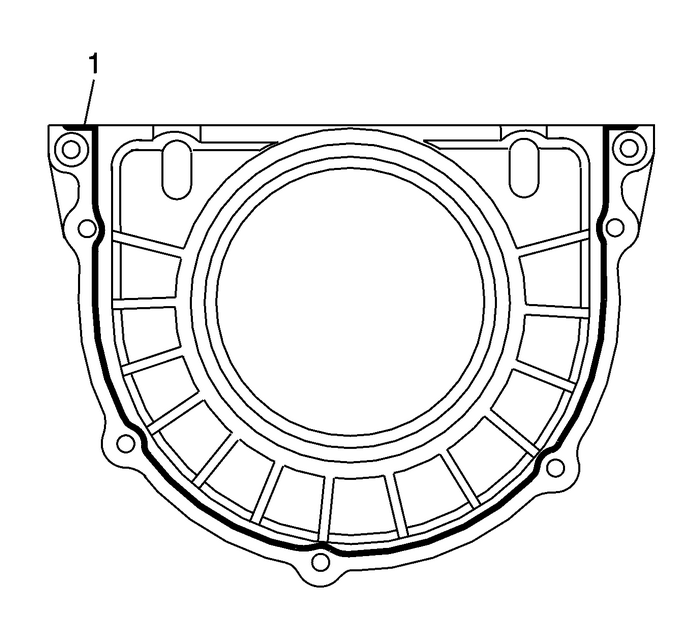 Place a 3-mm (0.118-in) bead of RTVsealant to the NEW crankshaft rear oil seal housing asshown-(1). Refer toAdhesives, Fluids, Lubricants, and Sealersfor recommendedsealant. 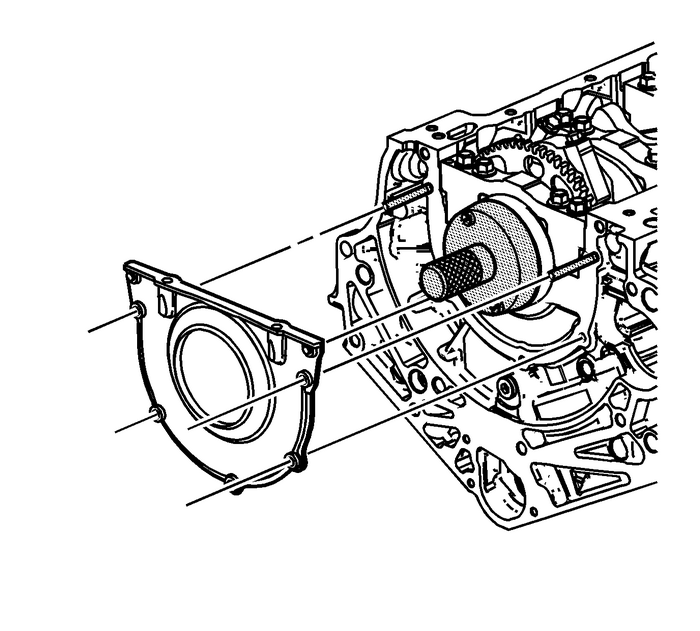 Note:DO NOT allow any engine oil on the area where the crankshaftrear oil seal housing is to be installed. 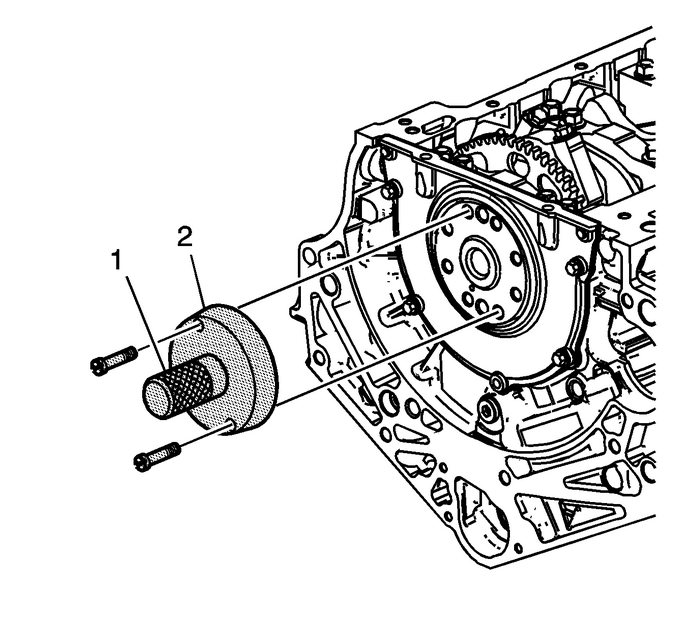 Install the crankshaft rear oil seal housing to the engineblock. Remove theEN-46109pin set6-mm (0.236-in) guides from theengine block. 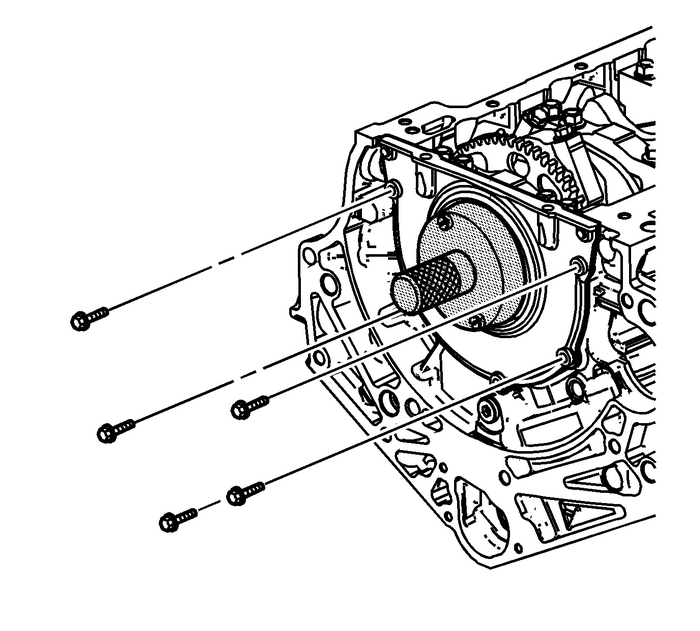 Install the crankshaft rear oil seal housing bolts. 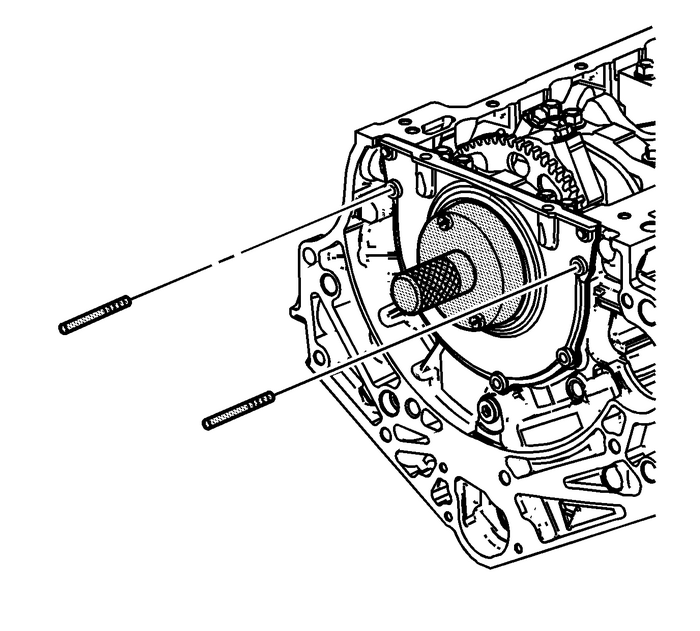 Tighten the crankshaft rear oil seal housing bolts insequence and tighten to10-Y(89-lb-in). 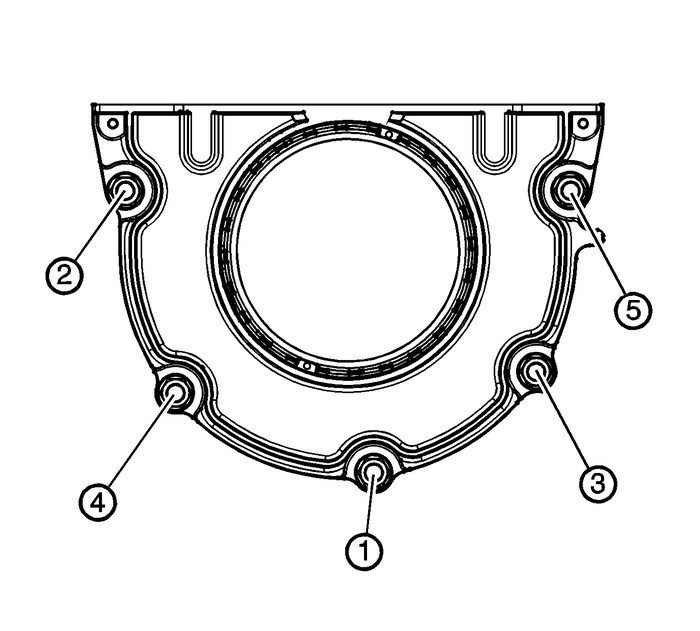 Remove theEN-47839toolandEN-42183handle-(1, 2) from the crankshaft flange.